Why Edmund Burke would hate the GOP Congress. 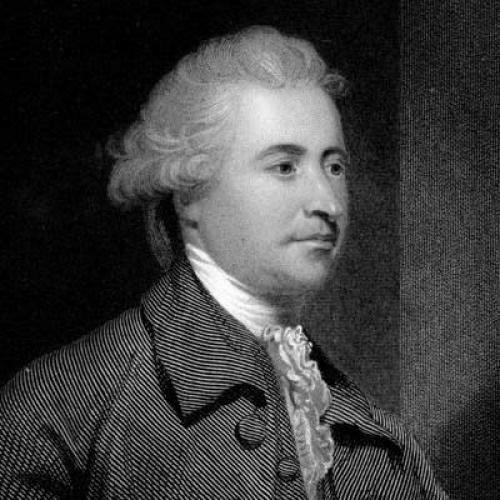 Washington—Edmund Burke, one of history's greatest conservatives, warned that abstractions are the enemy of responsible government. "I never govern myself, no rational man ever did govern himself, by abstractions and universals," Burke wrote. "A statesman differs from a professor in a university; the latter has only the general view of society; the former, the statesman, has a number of circumstances to combine with those general ideas." Alas for all of us and for American conservatism in particular, the new Republican majority that took control of the House on Wednesday is embarked on an experiment in government by abstractions. Many in its ranks pride themselves on being practical business people, but they behave as professors in thrall to a few thrilling ideas. Their rhetoric is nearly devoid of talk about solving practical problems—how to improve our health care, education, and transportation systems, or how to create more middle-class jobs. Instead, we hear about things we can't touch or see or feel, and about highly general principles divorced from their impact on everyday life. Their passion is not for what government should or shouldn't do but for "smaller government" as a moral imperative. During the campaign, they put out a nice round $100 billion in spending cuts from which they're now backing away. It is far easier to float a big number than to describe reductions for student loans, bridges, national parks, or medical research. Republicans promised they would "repeal and replace" President Obama's health care law but the only thing on the schedule is repeal. They provide no alternative. A leadership that promised a more open process highhandedly slammed the door on any amendments to its repeal bill. Most Americans rather like the new law's ban on insurance discrimination against those with pre-existing conditions and the provision allowing parents to keep children on their health insurance plans until age 26. But there will be no votes on those parts of the law because attention to those inconvenient "circumstances" Burke discusses would divert attention from the great, abstract scarecrow of "Obamacare." There is nothing wrong with reading our Constitution as part of the new Congress' debut. It's a good Constitution. But note that conservatives would much prefer to pronounce various liberal initiatives "unconstitutional"—again, in the abstract—than to say whether they are for or against minimum-wage and environmental laws, Medicaid, and a slew of other initiatives that never crossed the minds of those who wrote our foundational document. The Founders couldn't conceive of Facebook, either. And that other perennial abstraction, "excessive regulation," is easier to assail than specific rules that make our air and water cleaner or financial transactions more transparent. Intelligent legislators know that human beings sometimes cut corners. They recall what James Madison, another conservative hero, said in Federalist 51: "If men were angels, no government would be necessary." As Madison knew, men aren't angels, but the professors in Congress seem to believe that another great abstraction, "the free market," can obviate the need for messy and complicated statutes. We hear much debate over how Obama and the Democrats should deal with the Republican House and beefed-up Republican ranks in the Senate. The primary task should be a relentless campaign to move the public discussion from the abstract to the concrete: from doctrine to problem-solving; from "smaller government" to the specifics of what government does; from "budget cuts" to the impact of reductions on actual programs. And paradoxically, because Obama is a former professor himself, he may be especially well-suited to call the bluff of the new professoriate in Congress. He knows better than most the dangers posed by an excessive devotion to abstractions. But the media also have a responsibility. If journalism in a democracy is about anything, it is about bringing the expansive rhetoric of politicians down to earth and holding them accountable for how their ideas translate into policies that affect actual human beings. It may be easier to report windy speeches about "liberty" and "entrepreneurship" than to do the grubby work of examining budgets, regulations, programs, and economic consequences. But journalists surely want to be more than stenographers. Michael Oakeshott, another great conservative philosopher, declared: "It is the mark of all intelligent discourse that it is about something in particular." Let's encourage the new professors who would govern us to deal with particulars and not just their ideological dreams.